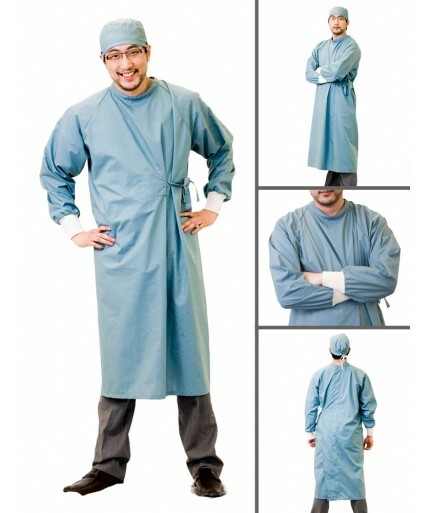 The adjustable Surgeon's Gown is made from 50/50 polyester/cotton sheeting. It has four snap closure on the back with adjustable self tie belt at the waist, a stand up collar and a 4 inch ribbed knitwear cuff on sleeves. The fabric and design provides an exceptional comfort and allows for easy movement. 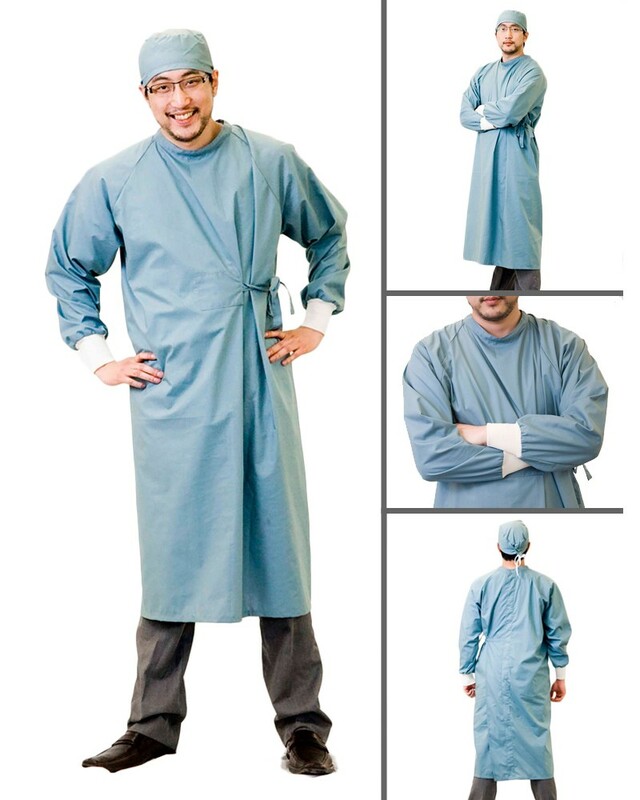 The adjustable Surgeons gown is colourfast, reusable, washable, autoclavable and comes in multiple sizes.